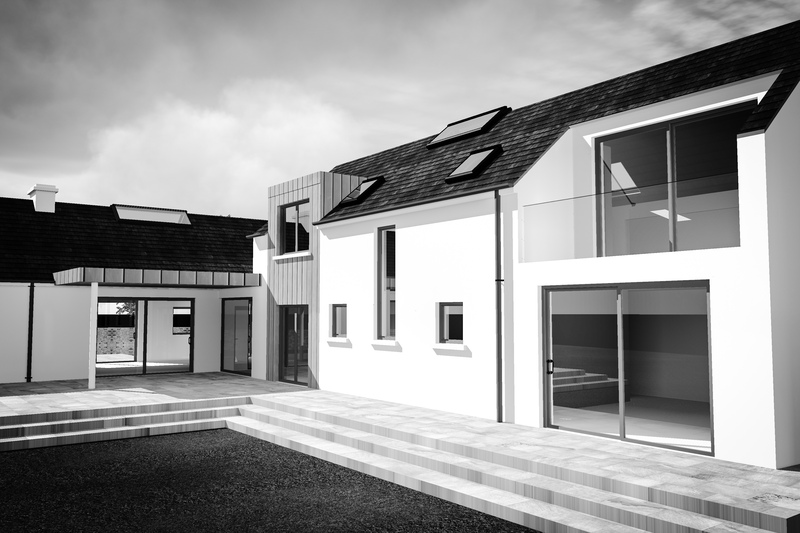 New dwelling house granted planning permission for a rural site in Dingle, County Kerry. Our design wanted to make the most of the fantastic views whilst providing some shelter from the prevailing winds. 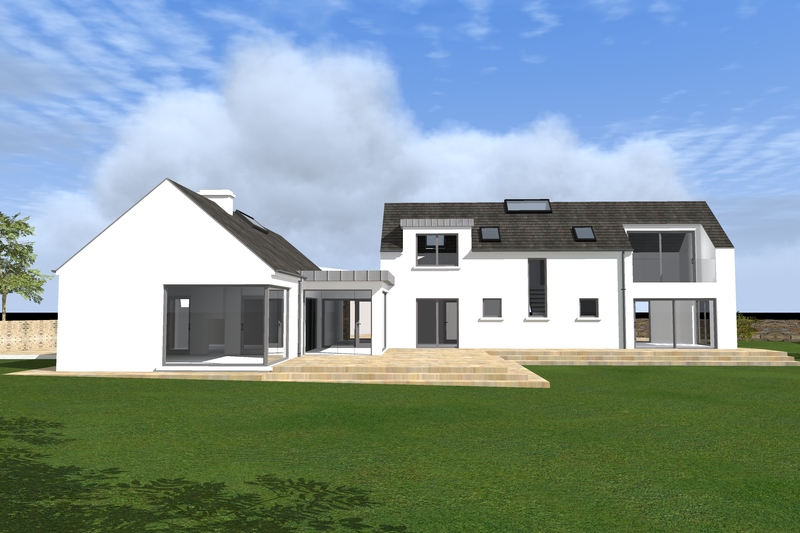 The form of our design is a modern interpretation of the traditional cluster of farm buildings that would be common in rural Ireland.